How Can You Tell If Someone Has A Drinking Problem? If you're trying to figure out if someone is a problem drinker, the first thing you need to know is something that only the drinker can answer. If you feel comfortable enough, you can ask the drinker this question: Have you ever felt you should cut back on your drinking? This is a difficult question to answer because it requires a lot of self-honesty, and some problem drinkers might not be ready to answer it honestly. So if the answer to this is "no," the answer may be meaningless. But if the answer is "yes," it's a strong sign that you have a drinking problem. If a person who drinks is uncomfortable with how much he is drinking, that means that he probably is drinking excessively and on some level is aware of it. 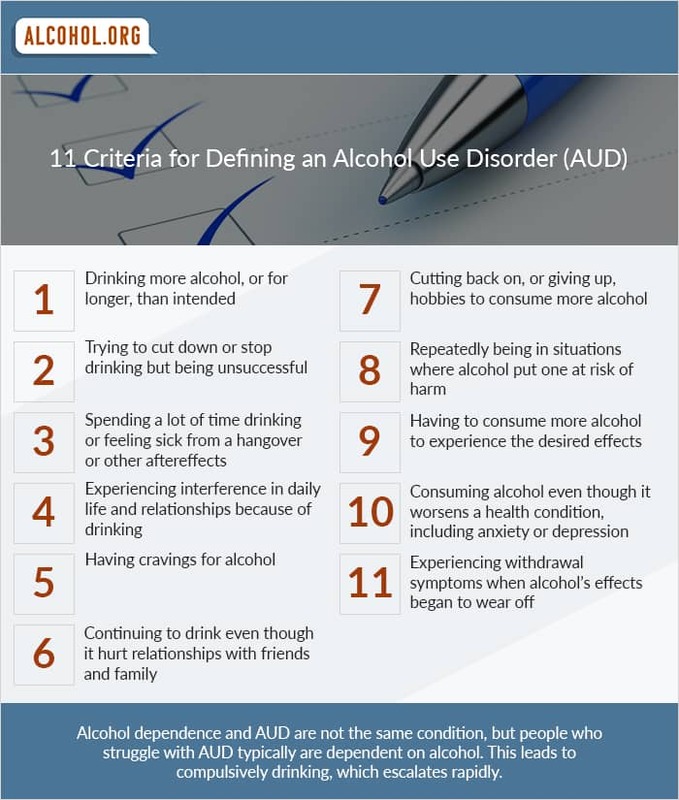 Some problem drinkers have decided to cut back and found themselves unable to do so, while other problem drinkers might not have gotten past the stage of thinking about cutting back. In any case, a drinker who thinks he is drinking too much is usually right. If the drinker ever tells you directly that he thinks he should slow down or stop drinking, then he probably does have a drinking problem. The next question is whether the drinker has ever gotten annoyed by others criticizing his drinking. For example, if you've told him you think he's drinking too much and he's gotten upset about it, it's a sign that the person is a problem drinker. Sometimes problem drinkers get defensive about their drinking because they're not ready to admit that they have a problem or they're scared that if they admit it, they'll have to give up drinking before they're ready to do so. So if a drinker in your life is defensive about his drinking when you bring it up, that can help tell you that he's a problem drinker. This is especially true if you talk to him about drinking when he's sober and both of you are calm. You can't really put as much stock into his reactions while drunk because he isn't in control of his thoughts and feelings, and if you angrily accuse somebody of having a drinking problem, it's natural for him to react defensively. But if the drinker is defensive about his drinking during a calm, rational discussion, it is highly likely that he has a problem. Next, the drinker herself might have negative feelings about her drinking. It's hard to know if a drinker feels guilt or remorse after drinking if she doesn't tell you directly. Some drinkers keep these feelings to themselves, and then you won't be able to use this sign to determine if they really have a problem. However, if a drinker expresses guilt, apologizes every time she drinks or makes promises to you to stop drinking and then continues to drink, that drinker is probably a problem drinker. Broken promises to stop drinking are one of the strongest signs that a person has a drinking problem. Many alcoholics truly want to stop but don't know how. Instead of asking for help, they may make sincere promises to stop and then not be able to keep those promises. This can then make the problem drinker feel even more guilt and shame. Finally, some problem drinkers drink first thing in the morning to eliminate symptoms of a hangover. This is another unhealthy pattern that indicates that a person has a drinking problem. The person drinks too much, feels sick and then drinks more to eliminate the illness, leading to more overindulgence and more feeling sick.